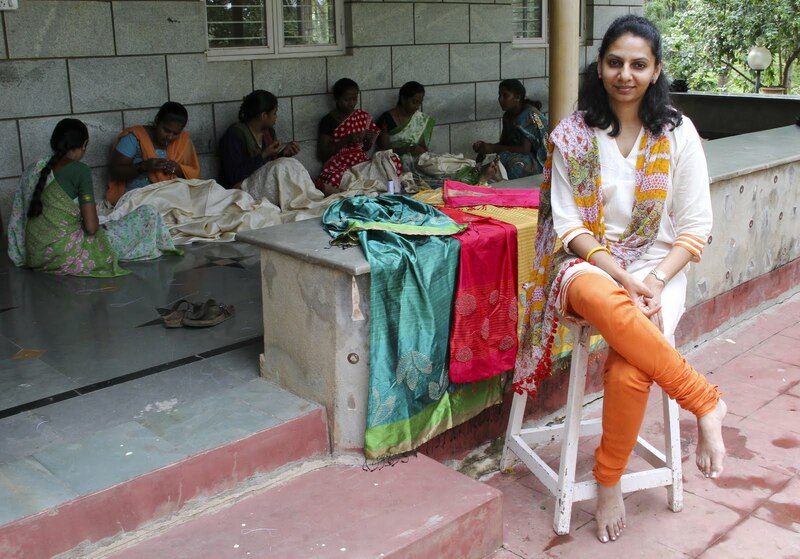 Today I was fortunate enough to be invited on a little day trip to the workplace of Bangalore textile designer Namrata Shah. 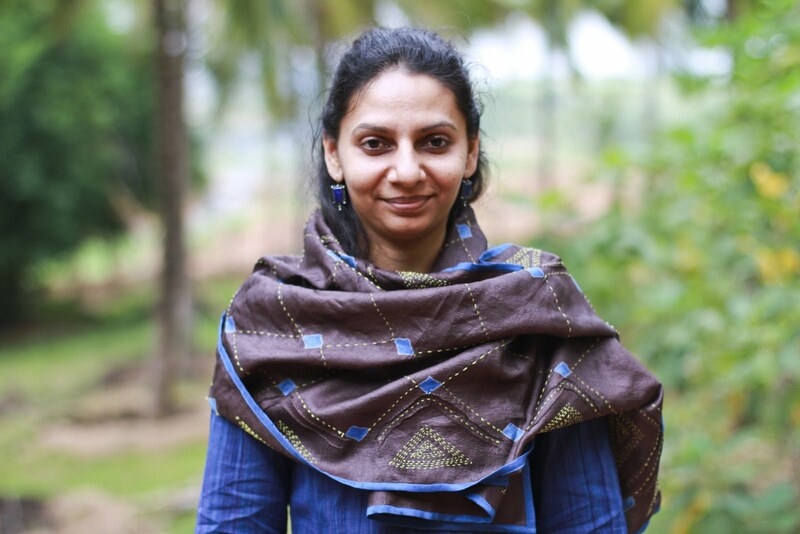 Set amongst almost 350 coconut tress, and a multitude of other exotic home grown fruit trees, Namrata’s ‘farm’ as she refers to it, is a calming retreat away from the polluted craziness of Bangalore. 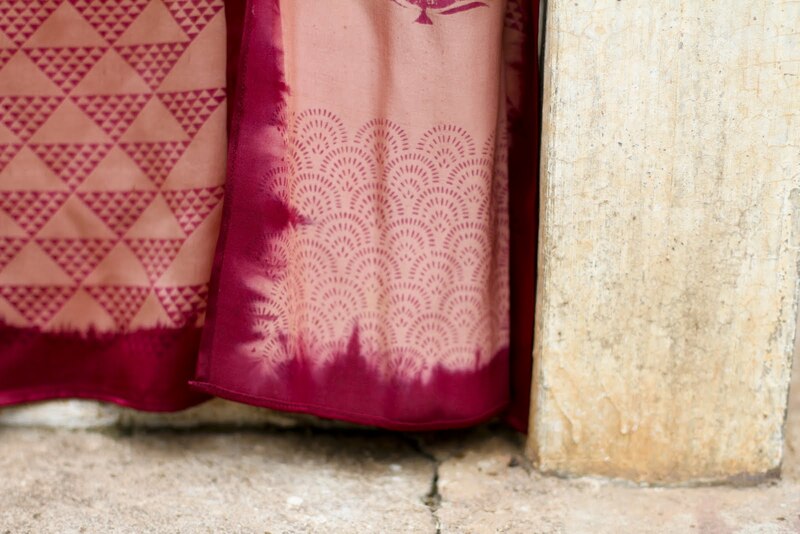 Whilst taking some photos for her new website Namrata started to explain to me how her textile business 2 Up 2 Down works. There’s far too much interesting stuff to write in such a small space so with Namrata’s cooperation I'm putting together a short video interview using some of the footage from today's venture, which I shall be posting as soon as I find a city with enough bandwidth to upload it! 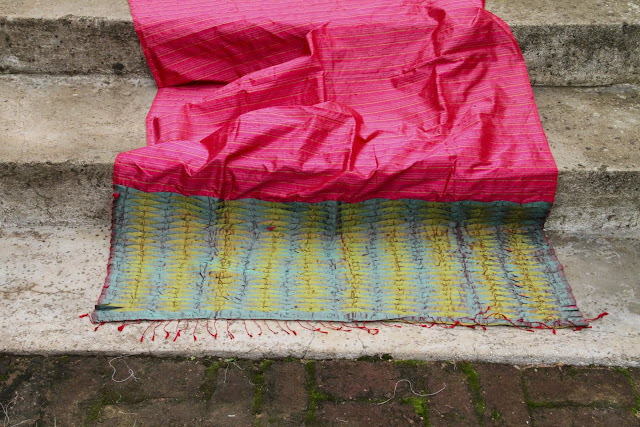 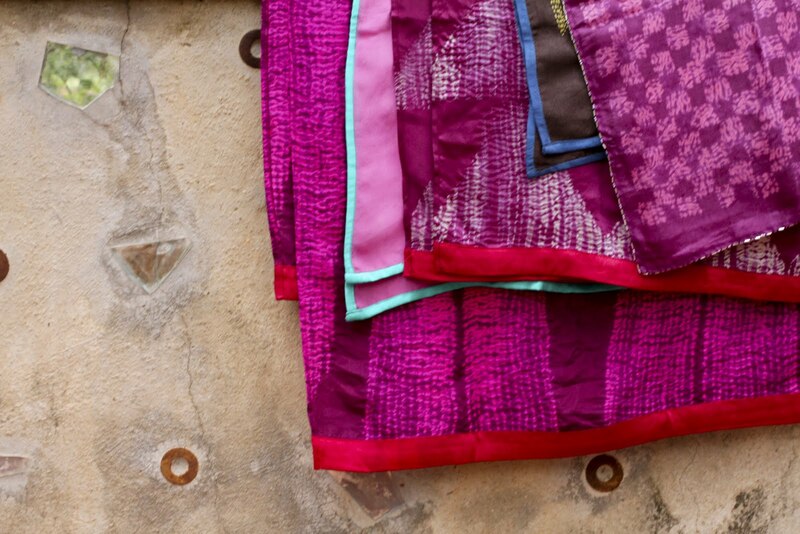 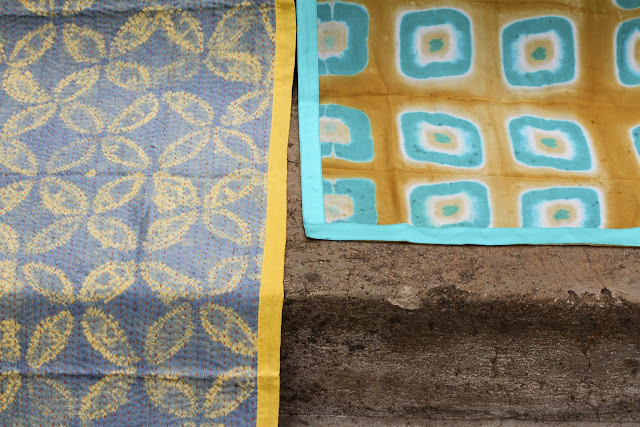 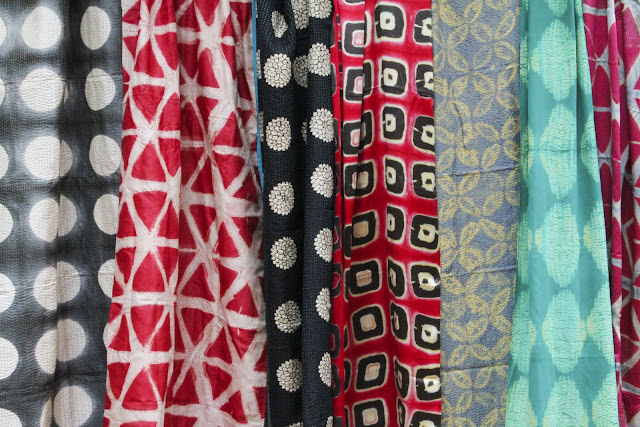 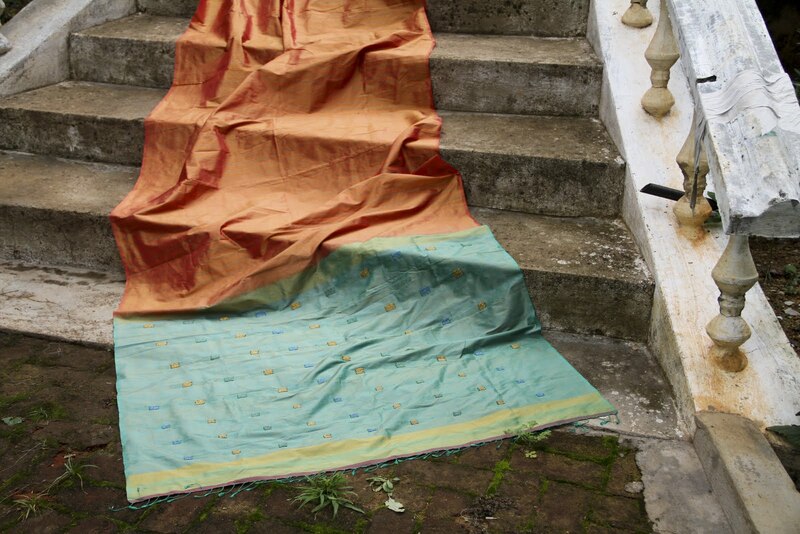 In the mean time feast your eyes upon some of 2 Up 2 Down’s beautiful, vibrant fabrics: hand embroidered shawls, silk sari’s and tie dyed scarves.